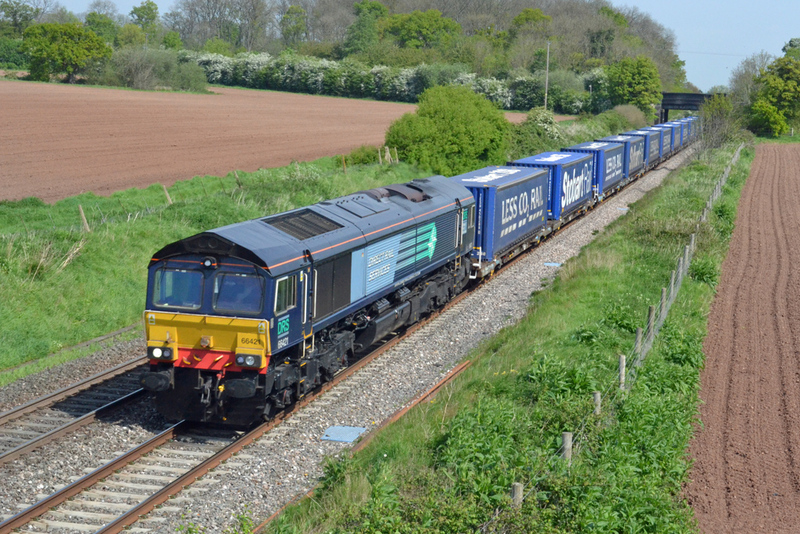 In May 2014 Adrian Booth made a brief visit to the county from his native Yorkshire and was out and about on Sunday 4th May 2014 to photograph class 66 diesel locomotive No.66421 at Spetchley with the 08.25 from Daventry to Wentloog container train (headcode No.4V38). 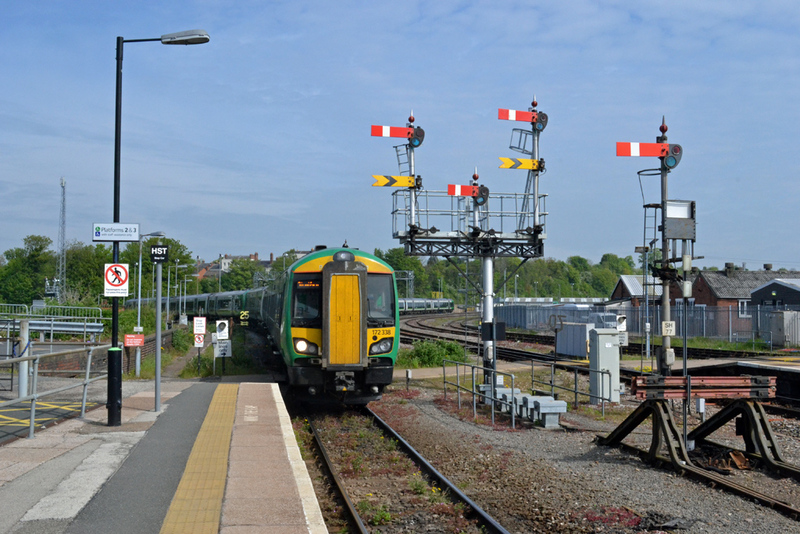 Also on 4th May Adrian visited Worcester Shrub Hill Station to view the London Midland class 172 diesel multiple units operating local services. 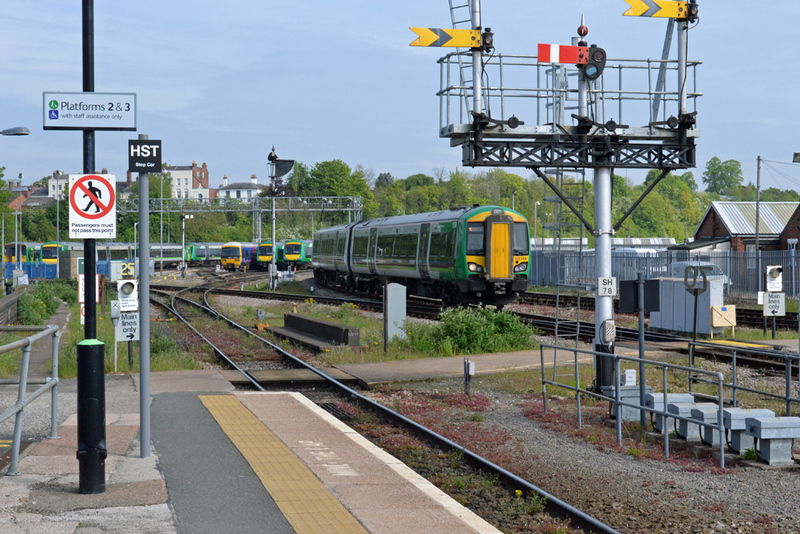 Above: Three-car units Nos.172338 and 172336 rounding the curve from Worcester Foregate Street with the 10.06 from Great Malvern to Stratford-upon-Avon (headcode No.2S06). Below: Three-car unit No.172344 passing Worcester Light Maintenance Depot with the 09.09 from Birmingham Moor Street to Great Malvern headcode No.2V00). 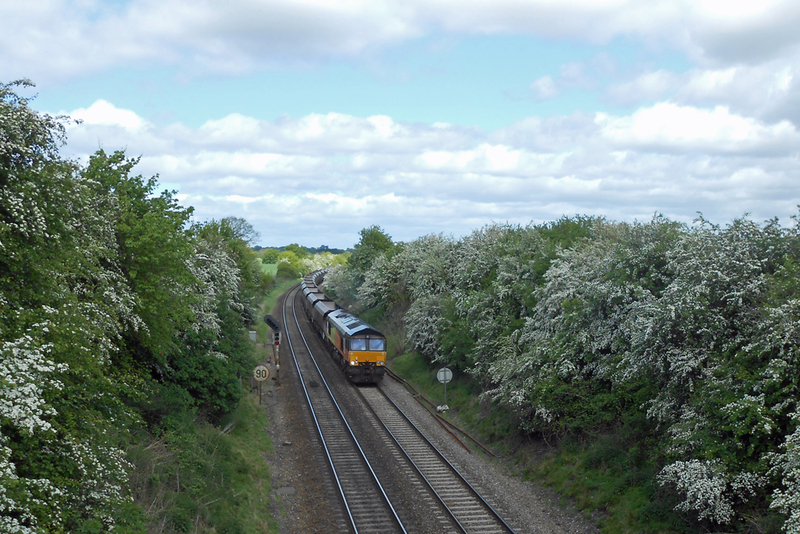 The changing seasons at Abbotswood Junction never fail to please the eye but it is perhaps at its best when the lineside trees are in blossom in later April or early May. 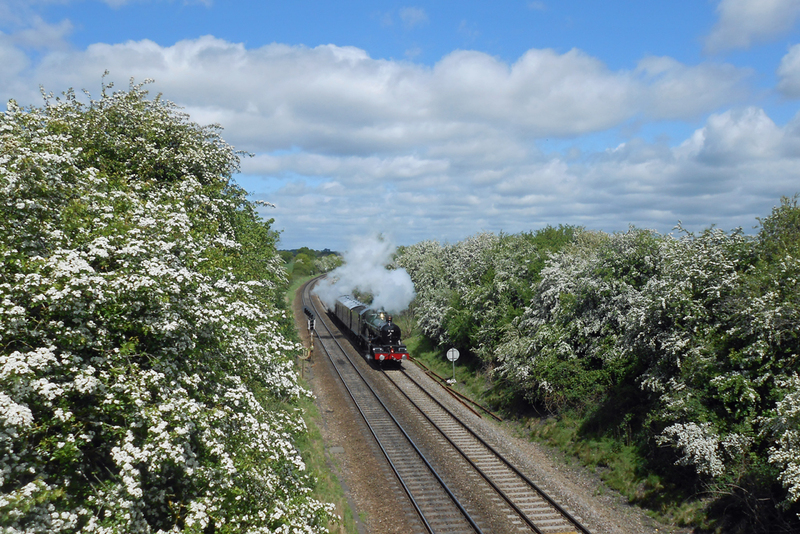 The following three photographs were taken by Andrew Smith on 9th May 2014. Ex-GWR ‘Castle’ class 4-6-0 steam locomotive No.5043 ‘Earl of Mount Edgcombe' plus two carriages heads south with the 10.30 from Tyseley Steam Trust Museum to the maintenance depot at Plymouth Laira (headcode 5Z48). The immaculate ‘Castle’ was followed almost immediately by filthy Colas livery class 66 diesel locomotive No.66848 with the 08.20 empty wagons service from Ratcliffe to Avonmouth. The distinctive yellow livery of the Network Rail New Measurement Train is shown to good effect on former ‘HST' power cars Nos.43013 and 43014 as they head from Old Oak Common Traction Depot (via Swansea) to their home at Derby. 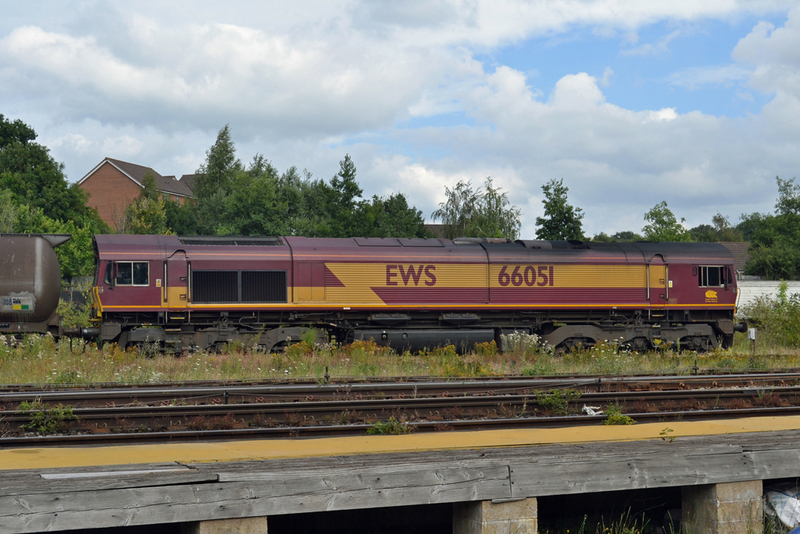 A most unusual working took place on Tuesday 29th July 2014 when DBS class 66 diesel locomotive No.66051 was sent from Didcot to Long Marston via Evesham and Worcester in order to collect a rake of tank wagons. The train returned from Long Marston to Worcester Yard (where it was photographed by Andrew Smith) before returning to Didcot via Evesham. 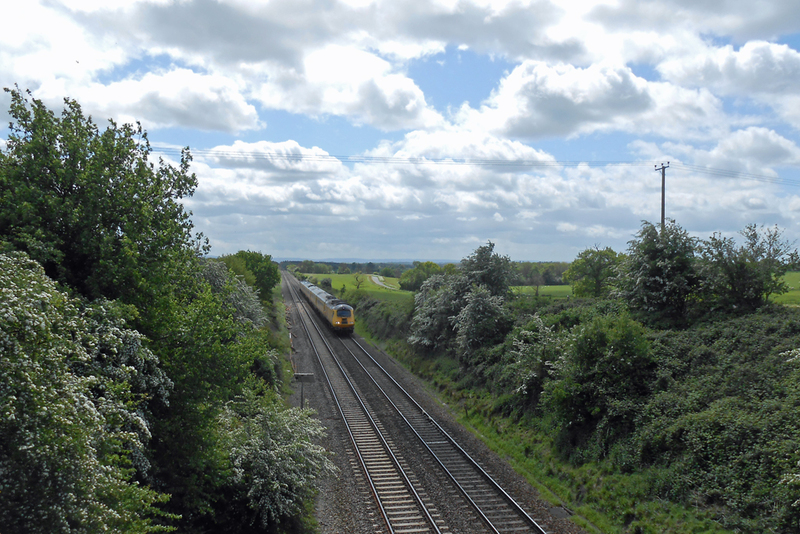 The normal route for freight trains from Didcot to Worcester, Long Marston or Ashchurch is via Stroud not Evesham. 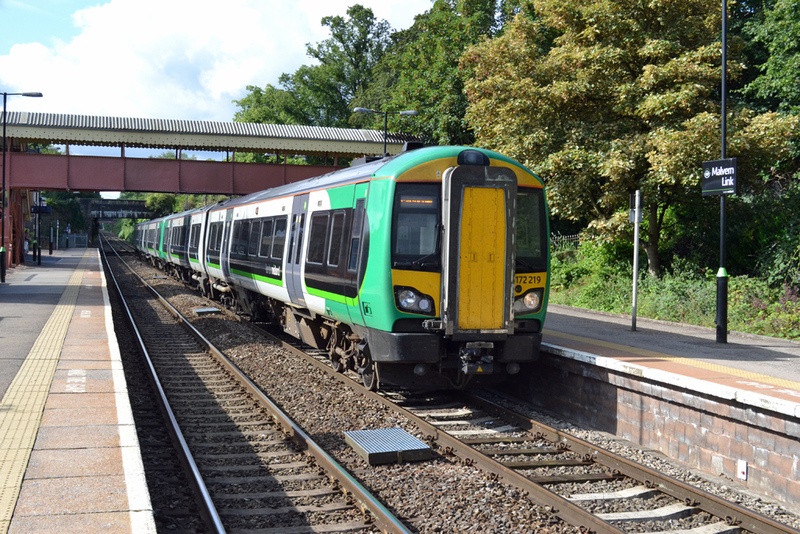 Storm clouds were never far away during the latter part of 2014 and it had only recently stopped raining when Andrew Smith took this striking photograph of class 172 two-car diesel multiple units Nos.172220 & 172215 with the 13.18 London Midland service from Whitlocks End to Great Malvern on Saturday 22nd November 2014. 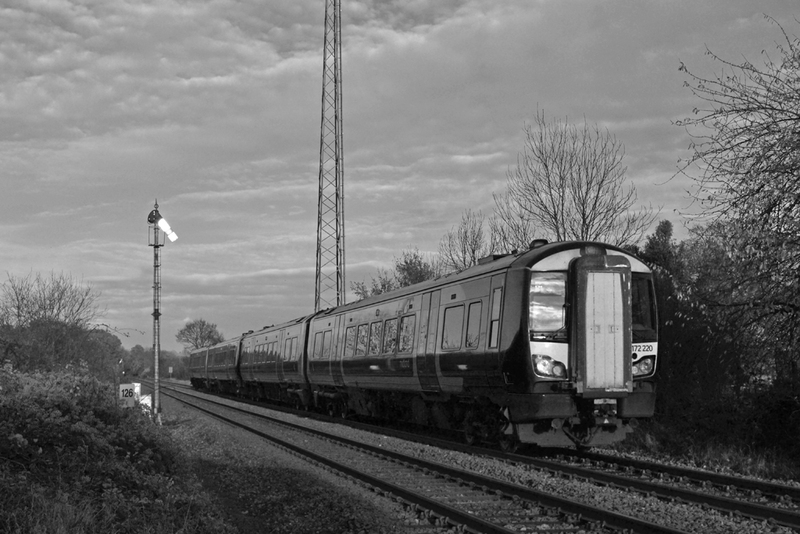 This photograph makes an interesting contrast with the same train at Newland on 19th November 2012 and on 20th November 2013.